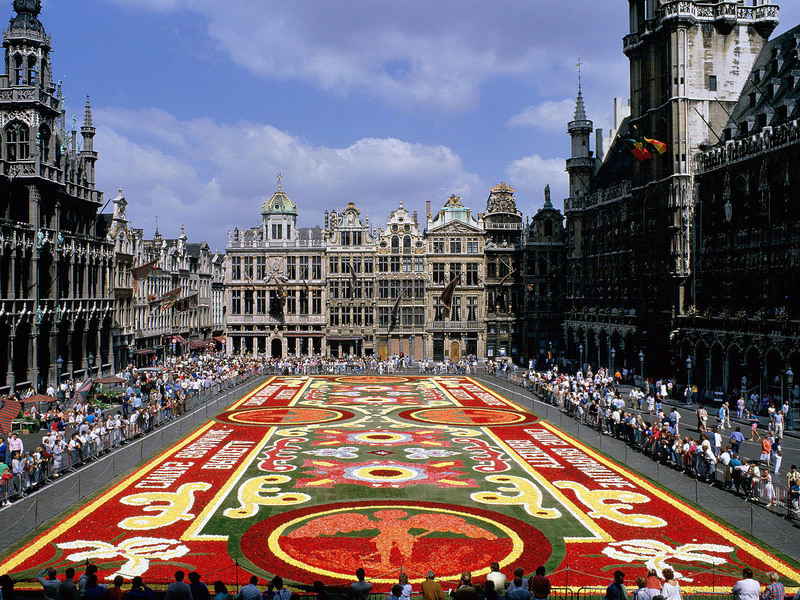 Brussels is the cultural and political center not only of Belgium but also of the entire European community. Originally, the appearance of the city was made up of monumental buildings around King's House, built by prosperous merchants and artisans. EEC and NATO, who settled there in 1958 and 1967, respectively, provoked a strong high-rise building around the city. 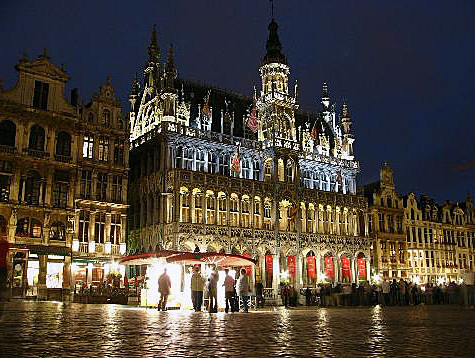 And Brussels, in former times, wealthy merchant’s town, became the administrative capital of Europe. 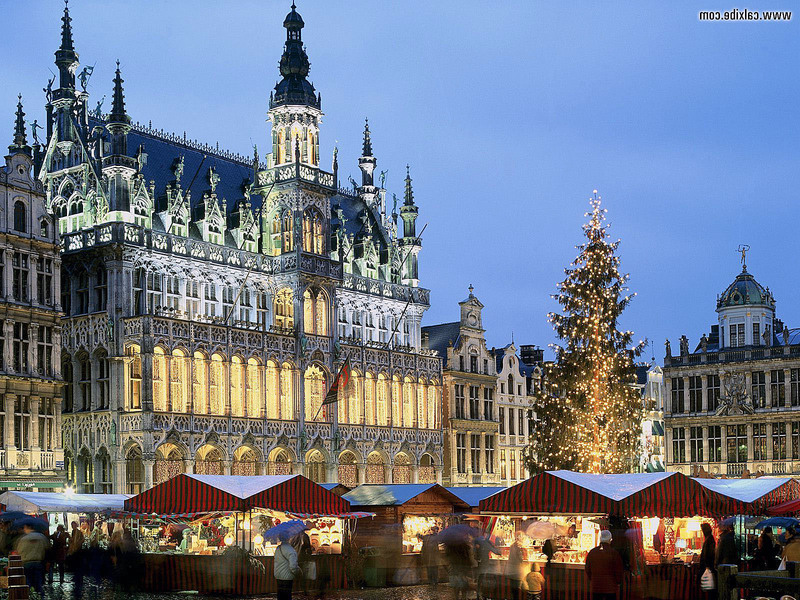 Most city excursions begin with a market square. 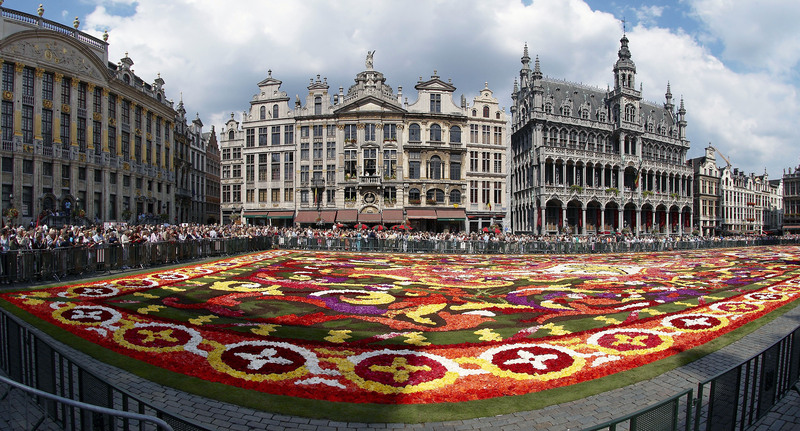 The Grand Place is not only the largest and most beautiful square of Brussels, but also one of the most beautiful squares in the world. In the 13th century, there were noisy stalls, festivals and jousting tournaments, worked fulleries and justice was done. 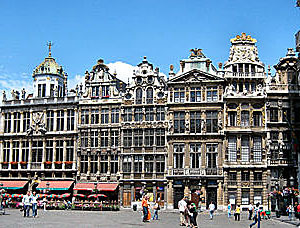 The buildings around the square were destroyed in 1695 during the French siege, but later were recovered on carefully thought-out plan, and began to look even better. Facades are decorated with intricate carvings, garlands, statues and columns. Each of the historic buildings has its own name, such as "She-Wolf", "Small cart", "Fox cub". 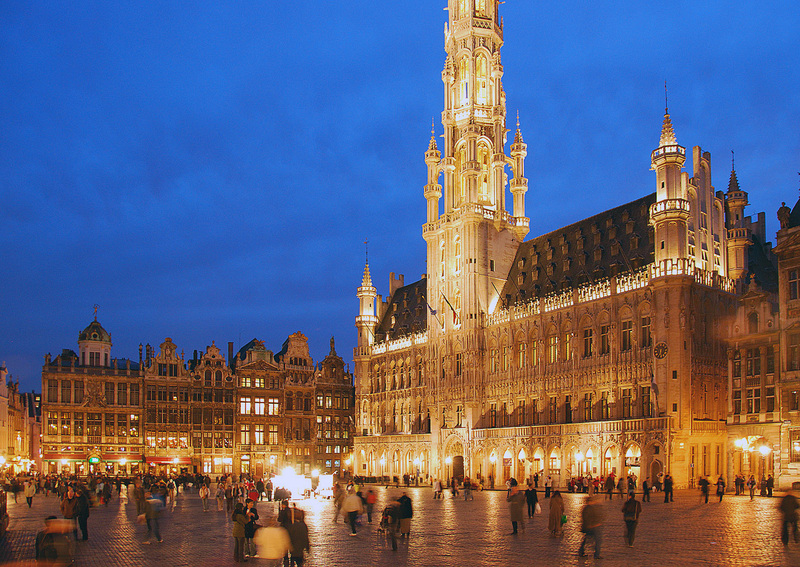 The most prominent building of the square is the Town Hall Hotel de Ville (15th century) with a 96-meter tower, which is crowned by a five-meter statue of the archangel Michael striking the dragon. In 1996, the original statue of the XV century was replaced by a copy. The facade of the Town Hall is decorated with sculptures that represent scenes of the city’s life. Today, a part of the Town Hall is available for visiting; richly decorated interiors keep the collection of handmade wall hangings of the XVI-XVIII centuries. 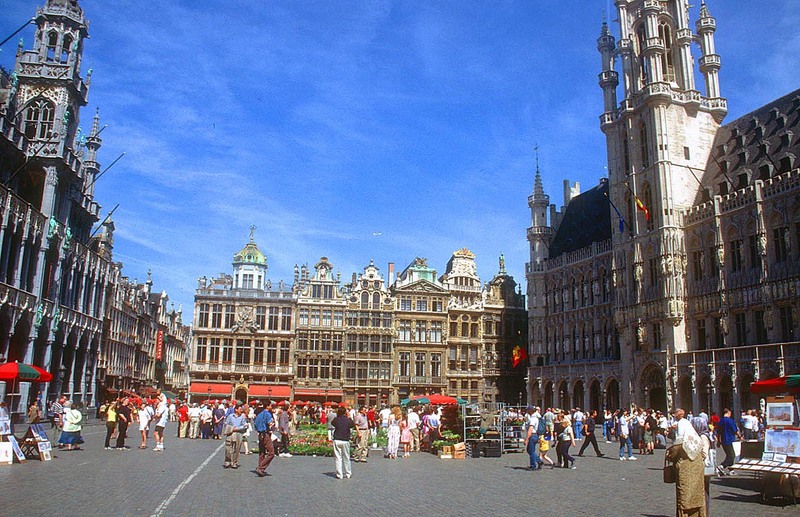 On the other side of the square are Maison du Roi / Broodhuis. Under Philip II the building was the residence of a court trial, hence its French name - King's House. Today it is home to the Historical Museum, which has a rich collection of art and amusing collection of costumes for the "Manneken Pis". 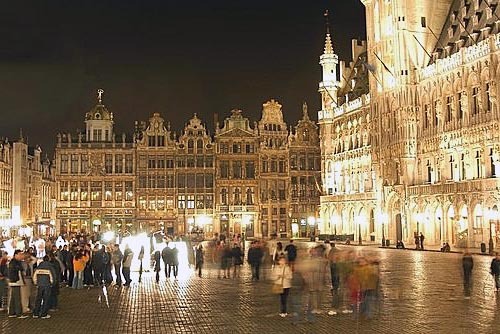 The world-famous symbol of Brussels, Manneken Pis, appeared in 1619 and has since been repeatedly stolen and recovered again. 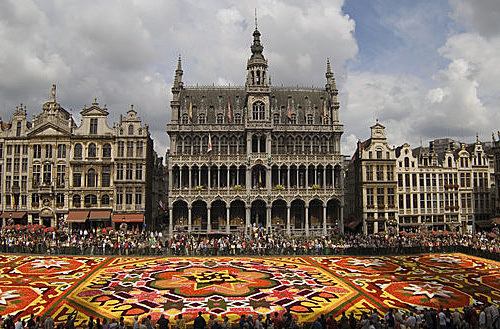 It is believed that the figure of the boy is the embodiment of the rebellious spirit of the inhabitants of Brussels. Recently, in the next street appeared the boy’s sister - Yanneken Pis. 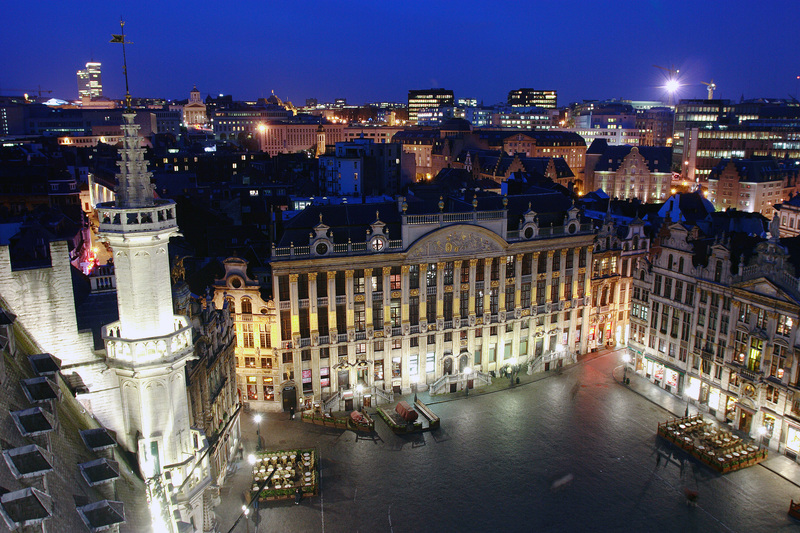 To the west lies the historic center of the Upper Town, from which you can admire the view of the old Brussels. 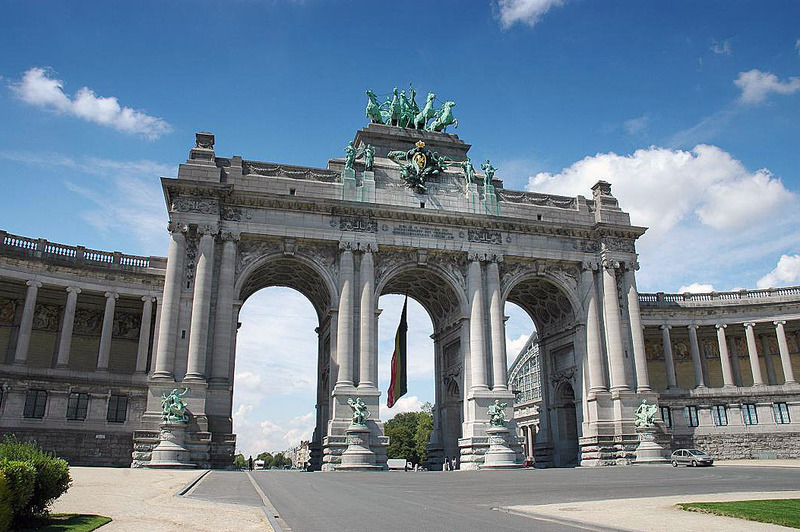 A huge area in the Upper Town is occupied by the Brussels Park, where the Royal Palace is situated - the residence of the Belgian monarchs. The museum's collection of the palace includes art objects made of china, silver and glass. Here is also the Museum of Bellevue, covering the history of the Kingdom of Belgium. 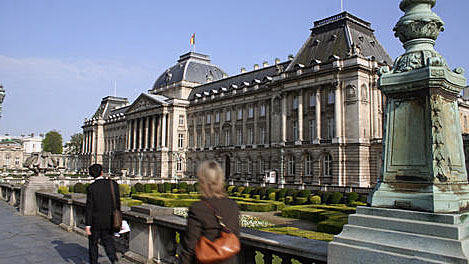 Another monumental building of this area is the Palace of Justice, the largest building of the 19th century. The western slope of the Upper Town is decorated with a silhouette of the Cathedral of St. Michael. From 1047 and for a few centuries the Cathedral was under the construction; the Gothic style is a result of the reconstruction of the 13th century. Dominants of the external look of the temple are two powerful towers, each of which has an access to the terrace. Inside it, attention is drawn to stained glass windows of the 16th century and carved cathedra of 1669. One of the most famous historical places of interest is the Royal galleries of Saint Hubert with a length of 212 meters, opened in 1846. This is Europe's first architectural complex with cloisters, today surrounded by dozens of art galleries, cafes, restaurants and theaters. On the small, really surrounded on all sides by museums, Museum Square is the palace of Charles of Lorraine and the famous "Gap" – a highlighted well, which contain a part of the exhibits of the Museum of Modern Art. If you have enough time to stay in the Belgian capital, you will surely be interested in visiting the park "Mini-Europe" with models of famous buildings: the Atomium – an increased to 165 billion times model of an iron atom with a height of 102 meters, created for the World Exhibition in 1958, and the Palace of Nations (the Parliament building), built in the late 18th century.